That’s kind of how I imagine the meeting went down when this movie was conceived. Home Alone was about to receive its first sequel, Ninja Turtles were right in the middle of their trilogy of films, and I’m pretty sure the people at Disney wanted a piece of that action, too, opting to roll them all into one and releasing a PG-rated martial arts film that would hold the tenuous attention spans of children across the nation, trick young parents who followed the Karate Kids films into thinking they’d enjoy it, too, and, thus, take along the family to the box office and stuff money into the pockets of Disney and Touchstone Pictures. 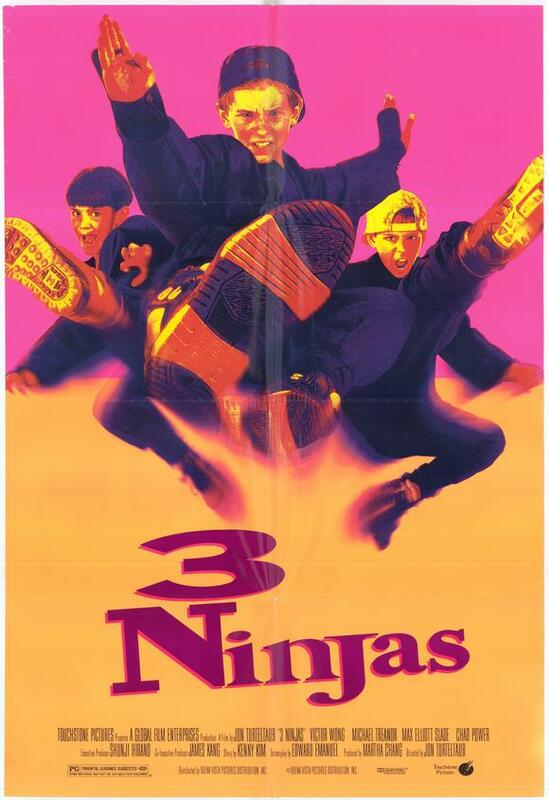 3 Ninjas certainly is a rip-off/cash-in on all of those films – heck, the sequels would follow the pattern of The Karate Kid almost exactly by sending the kids off to Japan to face the elderly Japanese man’s rival, repeating some version of the formula for at third film, and then doing a complete tonal shift and recast for the terrible fourth film. (Could a modern day Jackie Chan reboot with kung fu now be in the works?) And yet the first remains the undisputed best of the series: silly, goofy, and filled with slapstick humor that will surely entertain the kids more than the adults, but you can’t help but admire the wish fulfillment aspect. What kid didn’t want to take on bad guys and bullies and impress all their friends with their awesome karate skills? I was 6 when the movie came out, and while I don’t remember exactly when I watched it first, that was around the time when the seed of my movie interest was really planted, as was my fascination with the idea of martial arts. 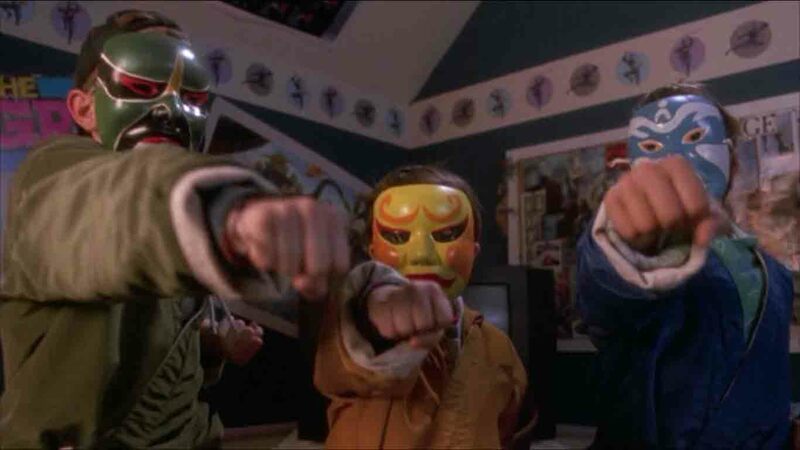 The combination of the 3 Ninjas movies and Power Rangers was most likely what inspired me to take my one month of tae kwon do lessons before I gave them up. 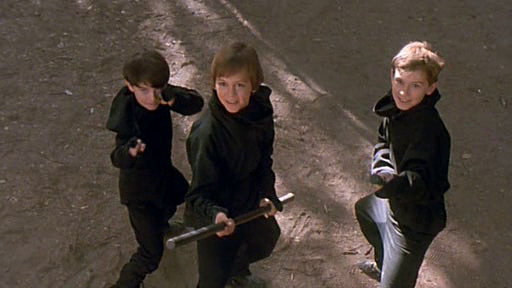 The three lead characters – Rocky, Colt, and Tum-Tum – provided us kids (mostly us boys, as Rocky’s love interest, Emily, was totally lame compared to the second movie’s Miyo, who could definitely hold her own in a fight) with at least a 1 out of 3 chance of identifying with one of the three boys to play as on the playground. (Of course, everyone always wanted to be Colt, the middle brother, because he was the cool, take-action type with the smartass remarks and boldness to say what he wanted to the tough kids and even sword-wielding ninjas.) And how cool was their Grandpa who lived out in a Japanese-style house in the woods? 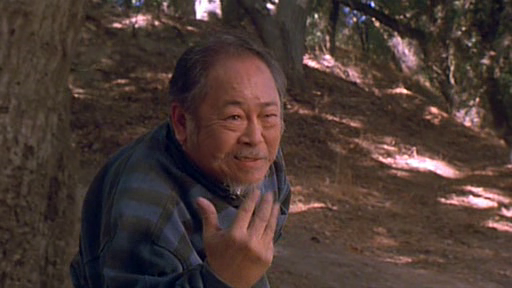 The old guy was both fun-loving (giving his nephews their ninja nicknames) and extremely wise (dropping sage ninja principles and pointing out all the weak spots on the human body – such as, and especially, the groin), and he could take on a fleet of ninjas in black suits and go stealthily infiltrate heavily guarded ships of doom! Which is good, because the kids’ dad is also an FBI agent on the trail of one of the nastiest arms dealers in the world, Hugo Snyder, a dangerous ninja in his own right who also has some sort of ambiguous history with Grandpa that puts the boys and their family in mortal danger. Naturally, this necessitates the hiring of some dimwits to take them on, only to be put down humiliatingly by the comical booby traps and ninjutsu skills of children half their size and age. (If you’re older than I was at the time I first watched the film, these parts are not going to be all that hilarious, but anyone who gets a modicum of enjoyment out of the Home Alone films will find something to like here, too.) All this before things get really serious and Snyder begins to take things into his own hands, of course. Directed by Jon Turteltaub – whose filmography is primarily made up of live action Disney films like Cool Runnings, The Kid, National Treasure, and The Sorcerer’s Apprentice along with a few TV series and even one of the more enjoyable films among the scores of banal 1990s romantic comedies, While You Were Sleeping – the first 3 Ninjas movie contains the right amount of comic fluff and palpable danger to remain engaging, but it was never destined to become any sort of film classic, even on the level of the films that it borrows from. It’s a me-too film, light on substance but high on cheap, cornball entertainment, and yet it’s serviceable and even enjoyable all the same, thanks to the conviction and enthusiasm that went into making it. 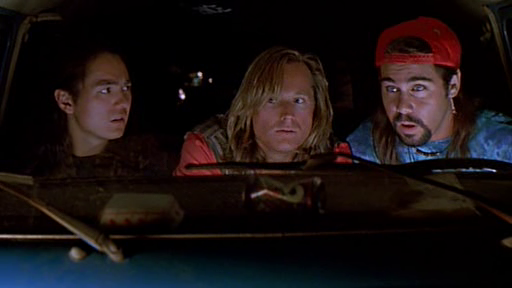 The three actors portraying the brothers in this film work well with one another (which is a large part of why the second and fourth films released feel so completely… off compared to the first and third, the latter of which was filmed before the second, complete with original cast, but released afterward). While they wouldn’t win any acting awards, they’re watchable, natural, and likable presences who act like real brothers and kids, and they also just happen to know a thing or two about martial arts to avoid any nasty shots of obvious stunt doubles and such. The three surfer kidnappers are your typical moronic thugs who fall for every trick in the book, and while they’re no Joe Pesci or even Daniel stern, they do just fine. 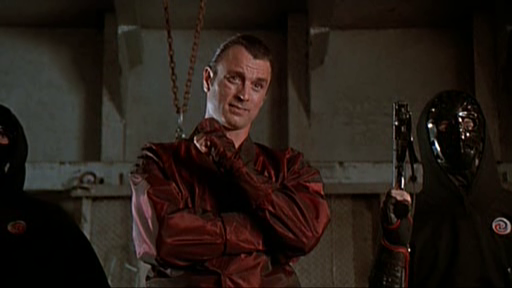 Rand Kingsley as the villainous Snyder is just the right amount of slimy cartoon villain with a large dose of hammy acting for the film, and yet he’s also a fairly credible threat in this family-directed film – the final fight scene, for example, is surprisingly brutal. I’ll admit to a lot of nostalgia likely tinting my enthusiasm for this film. By all accounts, most critics have hated it. Screw them, though, you know? 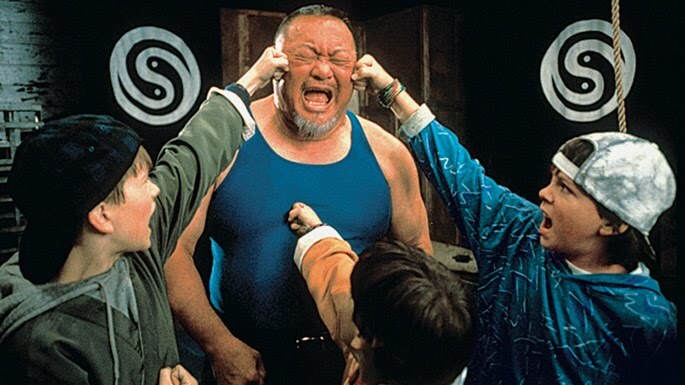 It’s not high art or anything like that, but, as a sort of vicarious wish fulfillment for kids like I was who love action movies but often find themselves having to shield their eyes at the request of parents fearing for their fragile psyches, 3 Ninjas is a decent, fun, and entertaining movie that I honestly wouldn’t mind seeing revived in some form in the future, provided it’s at least as decently fun and entertaining as the Jackie Chan remake of The Karate Kid.